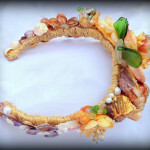 The Ericka is named after a very dear friend whose vibrancy and beauty is cherished by all she meets. 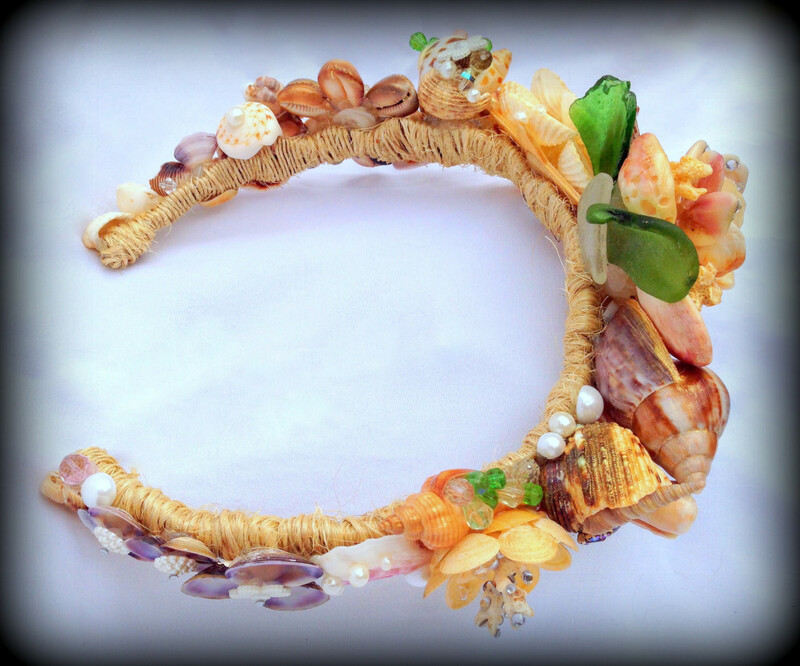 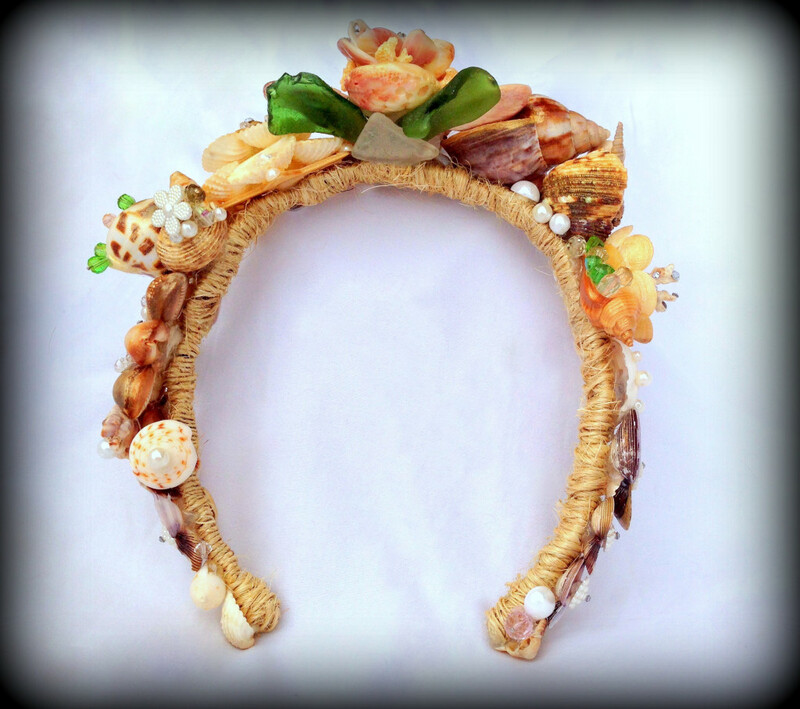 This crown is composed of seashells, coral, and beach glass all found on the beaches of Kauai. 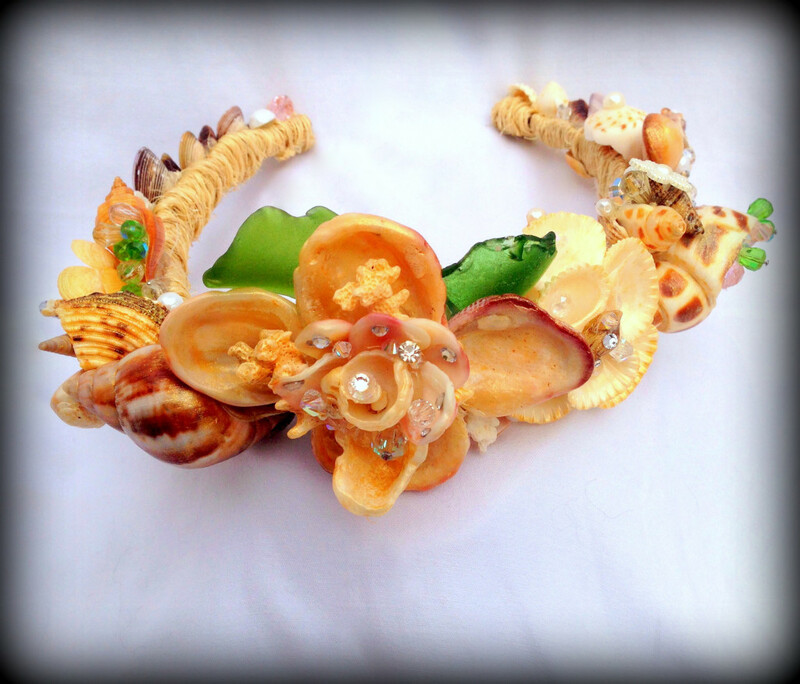 Each piece seasoned by the sea and polished in the sun. 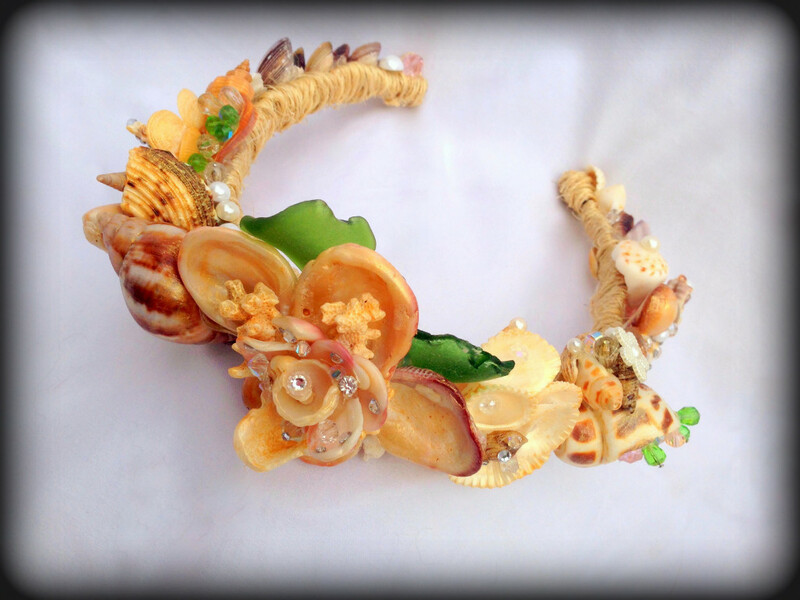 I hand picked each piece and crafted together flowers of shells bedazzled in sparkly rhinestones crystals and freshwater pearls. 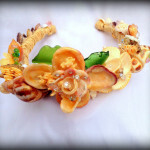 This is a beauteous piece with a multitude of hue facets to behold. 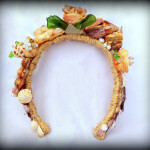 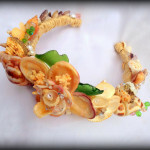 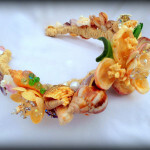 A one of a kind keepsake and original signed art piece for the perfect beach bride or mermaid seeking a fitting crown. 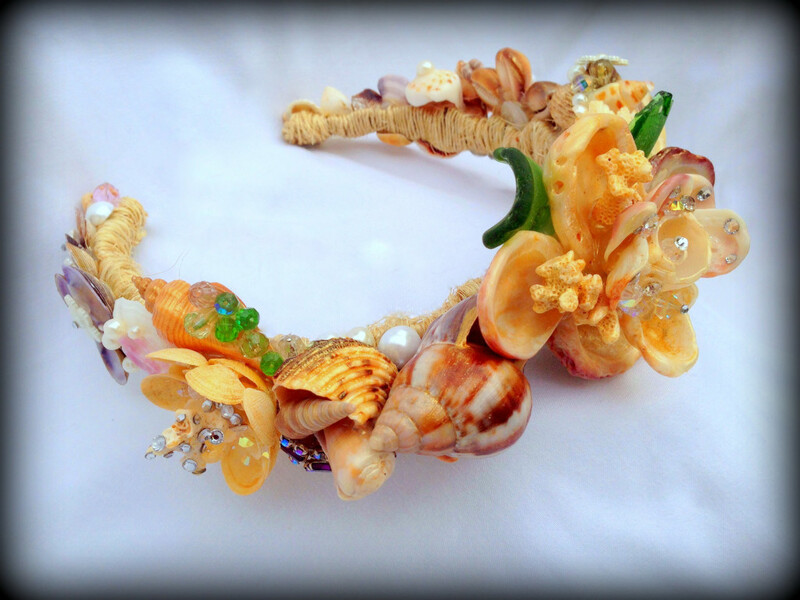 Commission a one of a kind Mermaid Tiara today!